GOOGLE RECENTLY TAUGHT its self-driving cars an important lesson about buses: they’re less likely to yield. That’s the company’s conclusion after one of its autonomous vehicles crashed into the side of public transport bus in Mountain View, California, prompting it to make “refinements” to its software. “From now on, our cars will more deeply understand that buses (and other large vehicles) are less likely to yield to us than other types of vehicles,” the company writes in its monthly autonomous vehicle report for February. This was the first accident where Google admitted that its self-driving car was at fault, rather than the accident being caused by other human drivers. Nobody was injured from the crash as the car’s speed was less than 3kmh while the bus’s speed was 24kmh. The incident in question occurred on Valentine’s Day after Google’s car had followed the “social norm” of pulling to the rightmost side of its lane to prepare for a turn. However, the car discovered sandbags blocking its way in front of a storm drain, so it needed to merge back into the center of the lane. In slowly doing so, it hit the bus, according to the DMV traffic report Google about the crash. Google says its test driver had allowed Google’s car to make the move despite seeing the bus coming, because he or she expected the bus to slow or stop. “Our car had detected the approaching bus, but predicted that it would yield to us because we were ahead of it,” the report said. “Our test driver, who had been watching the bus in the mirror, also expected the bus to slow or stop. And we can imagine the bus driver assumed we were going to stay put”. “This type of misunderstanding happens between human drivers on the road every day,” Google writes. The company says that it hopes that the refinements it made to its software will help it “handle situations like this more gracefully in the future”. 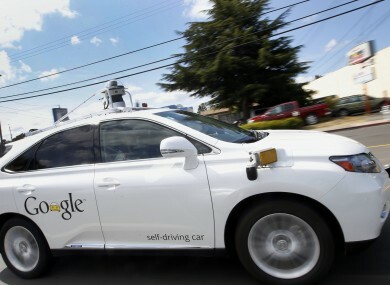 Email “Google's self-driving cars learned an important lesson about driving near buses”. Feedback on “Google's self-driving cars learned an important lesson about driving near buses”.